We fashion natural materials by creating sustainable watches of a high environmentally innovative value, recreating an experience that is symbolic of a new type of lifestyle, one that encloses the tale of time through nature’s elements. We aspire to perfection, uniting quality with Italian tradition and innovative design. All of which is done from the perspective of a circular economy, where natural materials are regenerated, aspiring towards a sustainable and eco-friendly planet. 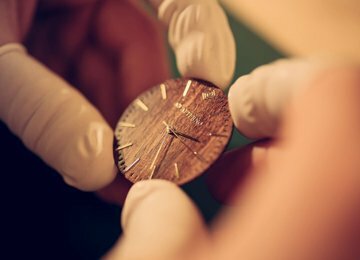 In carrying out/actualising our mission and creating environmentally sustainable watches we partner with industry leaders and international research centres. We create watches with a high ecological value and we work from the perspective of a circular economy where materials are brought back to life to tell their story. 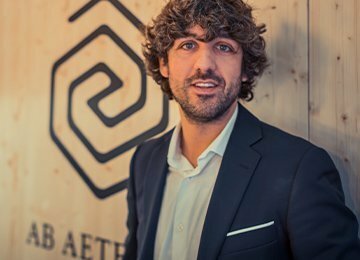 Our decision to espouse a philosophy of low environmental impact re-enters within the perspective of a circular economy, which is founded on the sustainable management and recycling of materials in order to protect and improve our environment and protect its resources. Our production techniques are aligned with the latest norms and guidelines. Eco-fashion represents a trend in constant growth: a virtuous cycle that advocates for the creation of products with as low an environmental impact as possible. 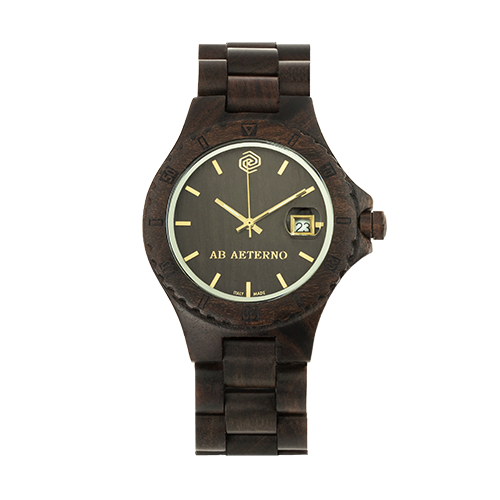 Wearing an AB AETERNO watch is a statement of quality and design, and by the same token of responsibility and sensibility towards the environment. "I think having land and not ruining it is the most beautiful art that anybody could ever want." We strongly believe in innovation and in the study of new material solutions. We heavily invest in research and development of new products in line with the latest trends. 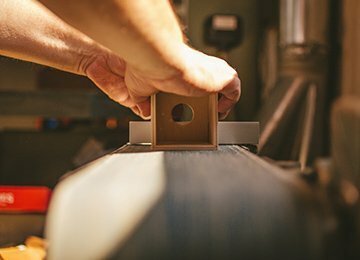 Our production processes and the passion for our products push us to constantly refine our design and research of eco-sustainable and highly innovative materials. The passion for craft and tradition passed down generation after generation is wed with innovation and modern design. A fundamental union for the realisation of one-of-a-kind timepieces. 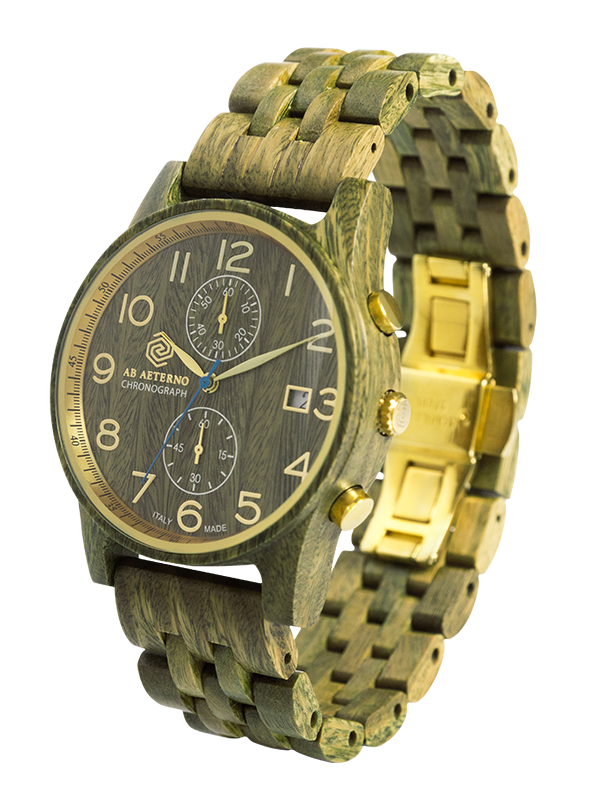 Marco Tommasoni, inspired by the untouched nature and the beauty of the Australian landscape developed his idea to realise a watch in wood and natural materials. We use materials that are natural and considered to reduce the risk of allergies. We use high-quality, natural wood, worked in a 100% eco-friendly manner. The lightweight nature of our timepieces allows you to wear them carelessly in any moment of your day. "When you aim for perfection, you discover it’s a moving target."